The wind whipped at Isabelle McNair, flapping her skirts against the railings of the airship’s observation deck. A dozen brightly coloured kites, each with a wingspan of at least eight feet, soared in the breeze behind them, tethered by strong threads to the observation deck. It was a fantastic sight, and she wished that more people could have been there to see it up close, instead of watching the test flight from the fields far below. A muffled thud reached her from the front of the airship, and for a moment the wind seemed to change direction. Then the deck shuddered violently, and Isabelle was thrown from her feet. Clinging to the railing, she pulled herself upright and turned to see thick black smoke spilling from amidships. Taking deep breaths to calm her trembling body, Isabelle opened the door into the rear cupola. Choking fumes billowed out, making her eyes water, and when the smoke cleared she saw that the corridor outside the engine room was engulfed in flames. Whatever had gone wrong, it had trapped her here. Never one to give in to panic, Isabelle closed the door firmly, hoping to contain the fire a little longer. Looking out from the deck she saw the ground approach at an ever increasing speed. To her right, a girder screamed as it buckled out of shape. She ducked as bracing wires snapped, their ragged remains hissing through the air like whips. One caught her forearm and she jolted at the pain. Blood ran from the wound. She needed to get out, and fast. Looking over the railing again, she saw that she was still too high up to jump. If she waited, she risked being consumed by flames or savaged by the collapsing structure. A splash of green caught her eye – the largest of the kites, still fluttering along as it followed the airship in its death flight. She untethered it from the rail and hauled it towards her, the cord tugging at her hands as the wind filled its wings. At last, the kite was close enough for her to grab hold of it. One hand gripping the thin pole that ran along its spine, she let the wind grab at it, testing to see if it could take her weight. It wasn’t perfect, but it might just work. There was a crash as the glass of the door shattered and flames burst forth, licking at Isabelle. She seized the kite with both hands and jumped. For a moment she felt a terrible falling sensation. Then the wind took hold and she was lifted on the breeze. She laughed out loud. Laughter gave way to a cry of alarm as the cord running from the kite went taught. Looking over her shoulder, she saw that it had become tangled in the twisted girder. 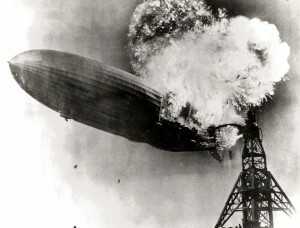 The airship, now ablaze from bow to stern, was dragging her down with it. She had no way to cut the cord, no way to untie it short of landing back on the flaming deck. But as she saw another of the kites still dancing up and down, Isabelle had an idea. It was as likely to end in disaster as safety, but what other choice did she have? Twisting her wrists, she pointed the kite straight down. It hurtled into a dive, the ground approaching at a terrifying pace, wind driving tears from Isabelle’s eyes. As the kite shifted, the cord slackened. Without tension holding it in place, the knotted end fell away from the twisted girder. Battling gravity, the wind and her own growing terror, Isabelle strained her wrists once more, twisting the kite’s nose up. Mere feet from the ground it turned, lifting Isabelle one last time. They hovered for a moment inches about a muddy field, and then she let go, landing gracefully on the rutted ground. The wind whipped at Isabelle, flapping her skirts against the first shoots of corn. She watched as the airship sank in ruin to the ground, one last kite riding the thermals of its flames. Thanks to Tess and Dave for providing the inspiration for this one – a survivor’s account of a real 1920s airship crash. In that case, the poor chap’s parachute harness became tangled in the airship, but he managed to get out of it alive. If you’d like more of Isabelle McNair, check out Guns and Guano, the first book in the Epiphany Club series, free in all e-reader formats.